The FP-2 is a multi-function foot pedal allowing hands-free control of key CS-SOLO and CS-DUO features. 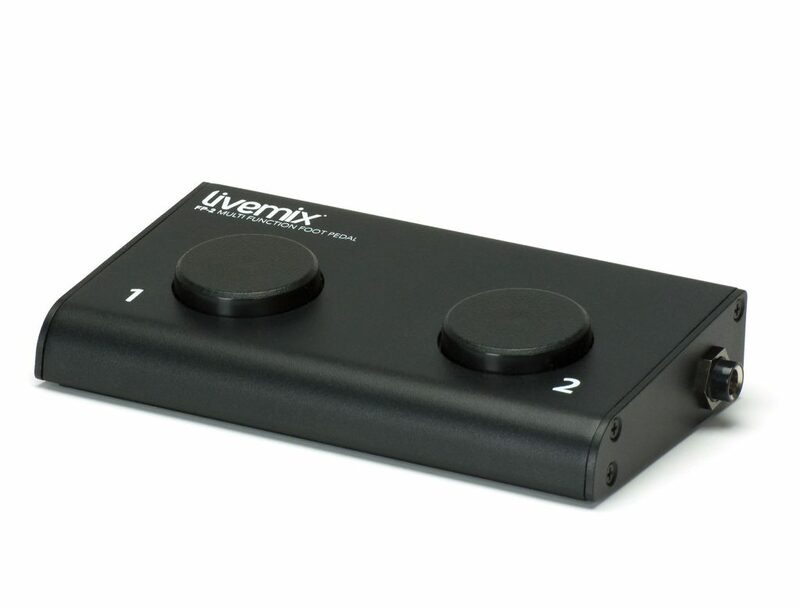 The FP-2 allows musicians and performers to make channel selections and mix adjustments without taking their hands off their instruments or microphones. By tapping or holding each button, users can select channels, adjust volumes and activate the built-in intercom on the personal mixer. When using a CS-DUO, select “MIX A” or “MIX B” on the FP-2. By connecting two FP-2 units together, both mixes on the CS-DUO can be controlled. Shielded CAT6 cables for connecting Livemix personal monitor system components.The shielding adds extra protection from other signals like wireless microphones and wi-fi connections. 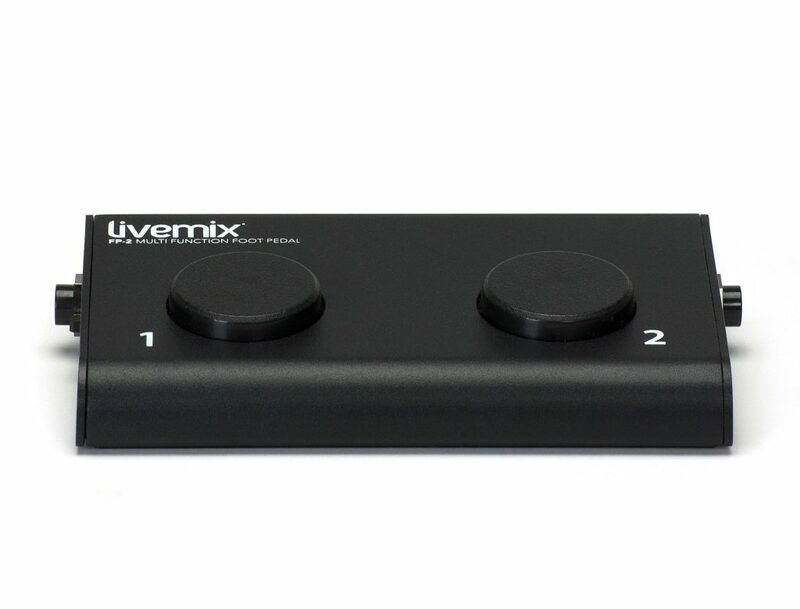 Note: Shielded CAT5e cables are perfectly acceptable to use with the Livemix Personal Monitor System. Snake cables in various configurations provide connections from your analog gear to the Livemix AD-24. 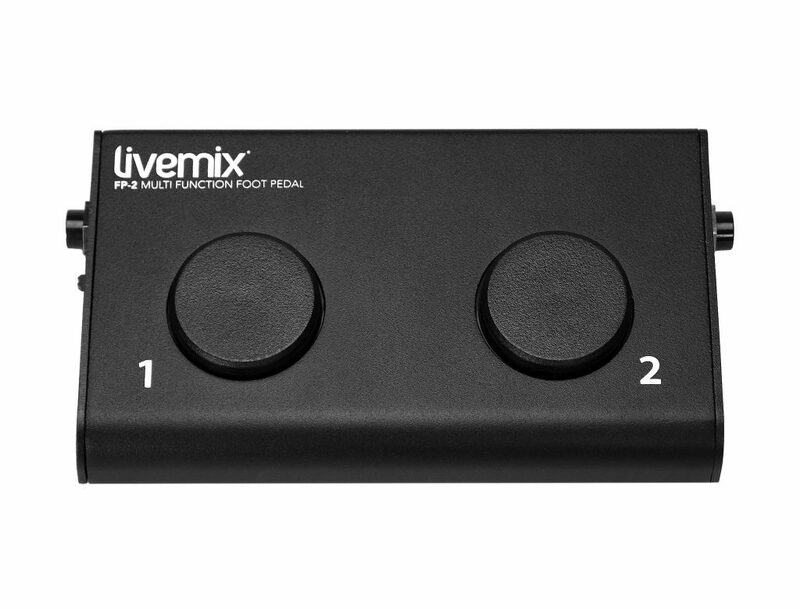 The Livemix MT-1 microphone stand mount is a dual position mount for Livemix personal mixers. The MT-1 mounts on top of a microphone stand (with included brass locking nut), or using the built-in clamp, secure mount to microphone or music stand. 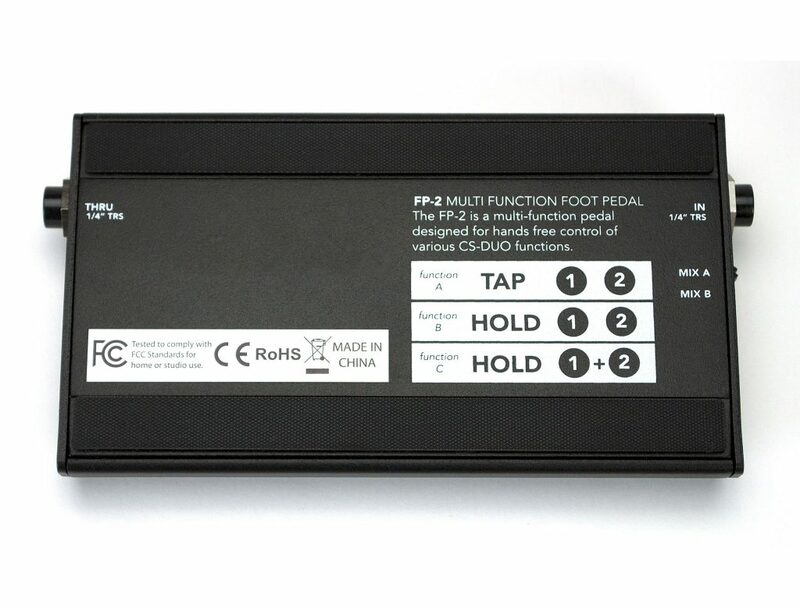 The FP-2 is a multi-function foot pedal allowing hands-free control of key CS-SOLO and CS-DUO features. The FP-2 allows musicians and performers to make channel selections and mix adjustments without taking their hands off their instruments or microphones. Questions? We're happy to help. Please let us know how we can assist you. 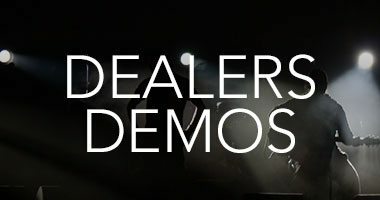 Enter your email address to stay up to date on product releases and updates! We would love to hear from you! 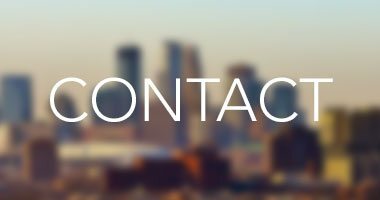 Give us a call, email, or connect with us on social media! 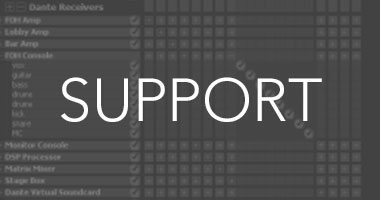 ® & ™ 2014-2016 Digital Audio Labs. 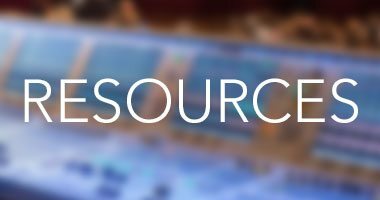 © 2017 Digital Audio Labs. All rights reserved.